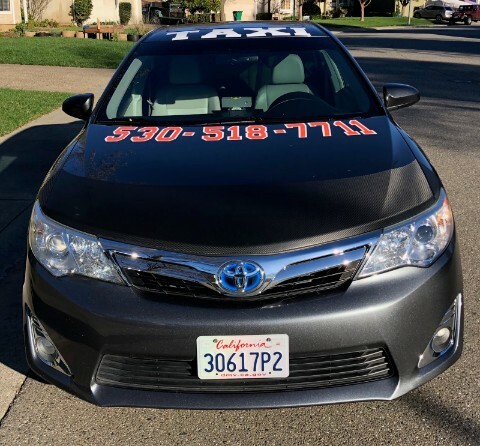 Chico Curbside Taxi Cab - For The Best Chico Taxi Experience! Any Occasion, Airports, Bus Depots, Door to Door, Parties, etc! Calls are direct to the driver! 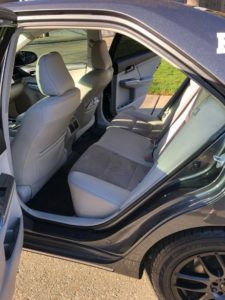 We Match All Uber and Lyft Pricing! Airport Shuttle, Bus Drop-off/Pick-up, Casino Trips, Parties, Events, and more! 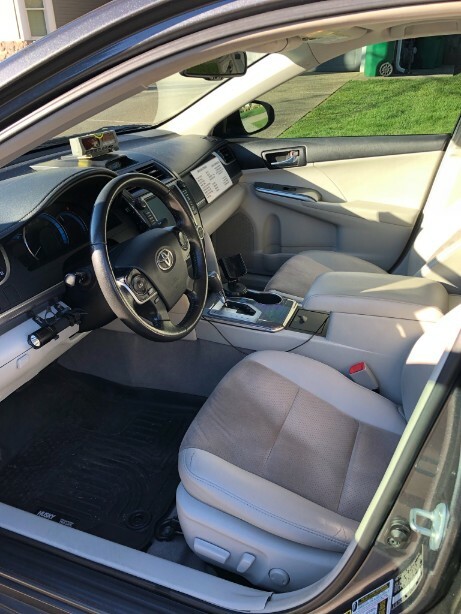 Newer, very comfortable Camry Hybrid with​ leather interior, seats up to 4 people. Use any major credit or debit card -- We also price match Uber & Lyft! 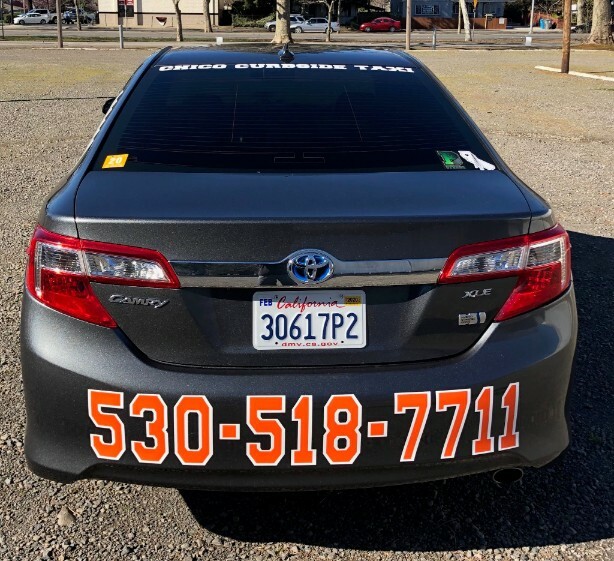 Curbside Taxi uses a Camry Hybrid for our Chico taxi services. The Camry Hybrid is the world’s first mass-produced hybrid car, it is very eco-friendly, and in line with our desire to be as environmentally friendly as possible. The Camry Hybrid is remarkably quiet, this makes the driving experience fun and relaxing for our clients. The Camry Hybrid's interior is leather and comes with a two-tone color scheme. Whether you need a ride for business or pleasure, Chico Curbside Taxi is your Chico taxi service. Only $2.50/mi., even during peak hours. So give us a call today! Affordable Flat Rate pricing available! Out of town pickups; call at least 30 mins prior to travel. Payment is upon trip completion, except trips to/from outside of Chico & surrounding areas where payment is due upon departure. Dogs/Pets are an additional $15. Driver not responsible for any lost items and reserves the right to refuse service. Drag the pointer to select your location. Or type the location in the field below. Press OK to hide the map.